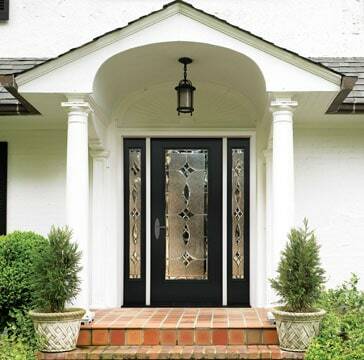 The front door is often the centerpiece of your home’s facade. 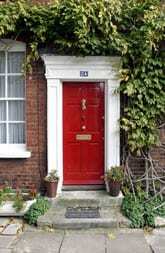 Subconsciously, people are more likely to be attracted to your house if your front door appears accessible and inviting. 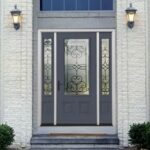 Updating a front door can be as easy as adding a great coat of paint and polishing the hardware. 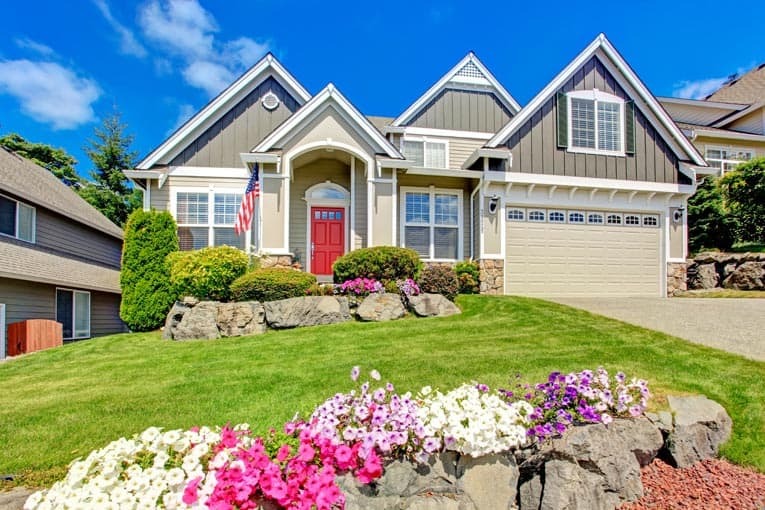 You may decide that you need to replace your front door, but a less expensive option is to update a worn-out or plain-looking door by applying a new finish and/or replacing the old hardware with new. 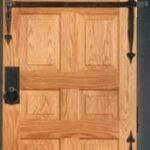 Refinishing a door is a simple task, as long as you prepare properly. You will want to work when the weather is nice enough to leave the door propped open, but you should avoid excessive heat or direct sunlight. Always remove the lockset and surface hardware. 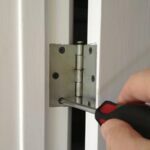 As long as the hinges are not encrusted with paint, it is best to leave the door hanging and protect the ground with dropcloths. Otherwise, remove the door and either replace the hinges or soak them in paint stripper and then polish them. To refinish the door, scour off or strip any peeling paint and sand the surface. Next, apply a couple coats of a slow-drying oil-base primer, which is compatible with both oil-base and latex topcoats. Scan the door for cracks or other indentations, and fill these with vinyl spackling compound. Finish with a first-rate gloss or semigloss 100% acrylic latex paint. To enliven a bland door, try painting it a bright hue that stands out from the house’s trim and wall paint, or experiment with decorative paint or wood treatments. Always brush on paint in the direction of the door’s wood grain. When working with a flat door, apply paint with a fine enamel roller, and then use a brush to stroke paint into the surface. Be sure to make long, vertical strokes and brush toward the middle of the door. If you have a panel door, apply paint in this order: first to the panel moldings, then to the panels, the horizontal rails, and finally to the vertical stiles. Of course, jazzing up your front door could be as easy as swapping out its “jewelry”; new hardware can bring a dazzling look to an old door. Invest in some high-quality hardware. Supply stores, home improvement centers, and Web retailers carry numerous styles of kickplates, locksets, house numbers, and doorknockers. All of these (with the exception of locksets) usually just screw onto your door. 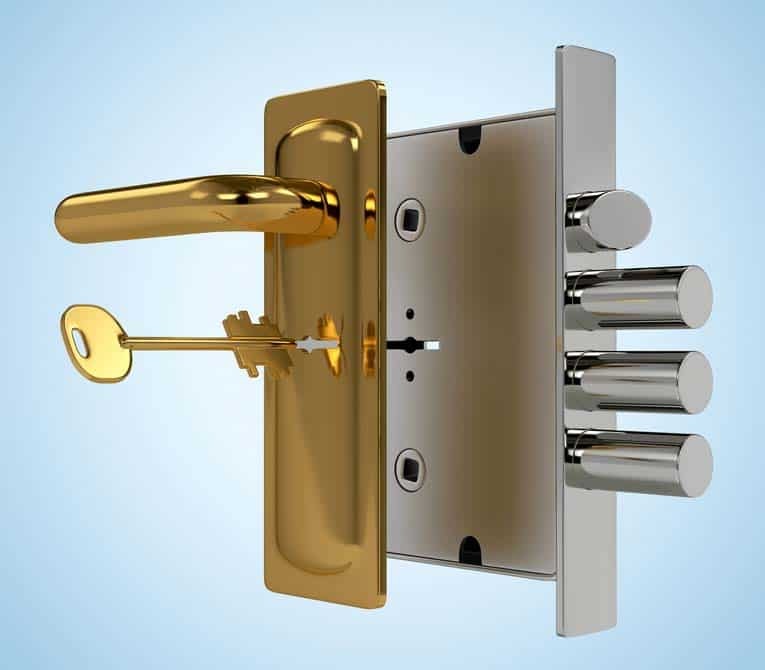 A lockset’s ease of installation depends upon the style you choose. Always buy one that fits the holes in your door, and follow the manufacturer’s instructions carefully. How you frame the door also adds to its appeal; use rustic posts and beams or stately columns to bolster the entry, or install fanlights and fixed glass panels in the surrounding wall. Such windows will also bring light into your home and give guests a welcoming glimpse into your interior space.